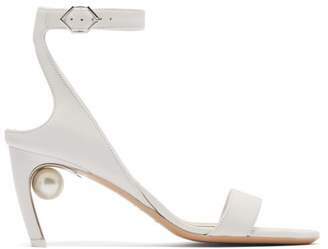 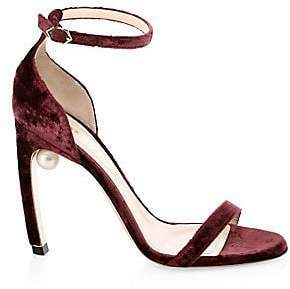 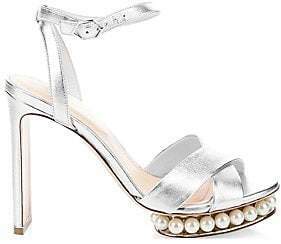 Nicholas Kirkwood - These silver sandals are part of Nicholas Kirkwood's Casati family – named after May Ray's muse, the Marchesa Luisia – and are distinguished by the signature faux-pearl inserts at the gold-tone metal heel. 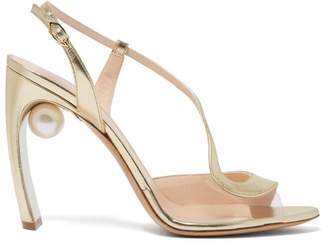 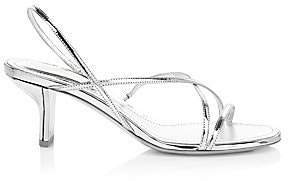 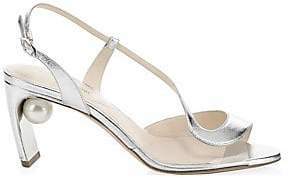 They're crafted in Italy with a metallic glittered finish in an open-toe, T-bar shape. 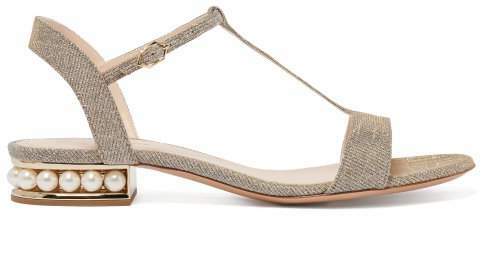 Slip them on with a floral dress for a lively ensemble.